10 free apps that introduce kids to the world of finance. If you want your kids to learn about the value of money in a way that’s both educational and fun, then encourage them to download an app — or three. Below are 10 of the most popular and kid-friendly money-management apps available, and the best part is that they are all free. Have your kids try different ones until they find the one they like the most. Created by 11-year-old Dani Gafni and her father, Etay, for their own family’s needs, this app teaches kids how to save and budget their allowances and other sources of income. Kids open up virtual bank accounts where they set specific savings goals and then track their ability to reach those goals. It simulates real bank accounts by registering allowances as recurring payments and encouraging kids to balance their accounts. This app functions as a virtual bank. Parents are the “bankers” and the kids are the “customers.” The whole family is connected, so it’s easy to move money around. Aside from teaching kids how to save money and track their spending over time, parents can transfer real money to them with prepaid and re-loadable debit cards. Other useful features include the ability to give your kids loans, and then teaching them how to pay back those loans in installments. Created by Neale Godfrey, the best-selling author of several books on money management, this colorful app teaches kids about the value of money through fun game play. Set in the imaginary town of “Green$treets,” kids select an endangered animal to rescue. They earn and save money to take care of it by planting a beautiful garden and tossing items into a tree house, among other things, while teaching them about earning, saving and budgeting money. This app functions like a virtual piggy bank where kids save for a special purchase. They can post pictures of it and keep track of how close they are to making that purchase. They open virtual accounts, with unique PIN numbers, to give them a sense of responsibility for and ownership of their money. As kids get closer to their goal, parents can contribute virtual money to help them achieve that goal. In this app, developed by the National Center for Families Learning, kids maneuver a buggy down a street while picking up items from a shopping list. At the end of the street is a General Store where they try to get the best deals, including by comparing unit sizes, buying in bulk, and using coupons and promotional offers. The goal is to save as much money as possible. If they make any wrong choices, a pop-up message steers them in the right direction. This app teaches kids to keep track of how much money they have earned from their parents and how much money is still owed to them. Kids set savings goals and then see, through easy-to-use charts, how close they are to reaching those goals. This app teaches kids more complex money-management principles, including asset allocation, diversification and the dangers of risky investments. Kids act as space aliens who perform various “jobs” for which they are paid. Other useful features include frequent, short quizzes on financial literacy concepts that allow them to earn extra money. Kids will learn how to save, spend wisely, invest and set financial goals. This app is targeted toward teenagers who want to learn how to better budget their money. 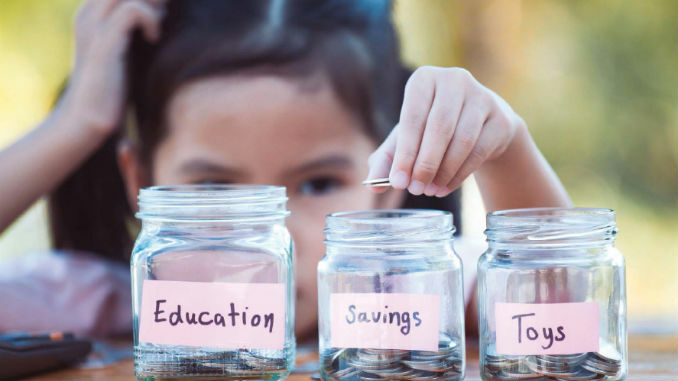 Linked to one or more real bank accounts, it includes charts and data visualizations that display past spending patterns and information about their current finances, which help kids identify potential areas for savings. This also lets them create more realistic budgets for the future. Other useful features include bill due-date reminders and a receipt database. Designed to teach kids how to manage their money, this app includes a “wish list” that helps them compare the cost of items they would like to purchase, and track how much progress they have made toward making those purchases. This helps kids not only learn to save money but also to budget for and prioritize different goals. They are also encouraged to be generous by setting aside money for charity. Tanni Haas, PhD, is a professor in the Department of Speech Communication Arts & Sciences at the City University of New York – Brooklyn College. He is the father of one son, who’s no doubt learning how to manage his money.